Relations between the United States and Turkey have been poor for most of the past decade, at least as measured by the common understanding of how treaty allies behave toward one another. But over the past few weeks the bilateral relationship has reached new and potentially fatal lows. Part of the reason has to do with the personalities involved. For all their many differences of background and viewpoint, Presidents Donald Trump and Recep Tayyip Erdoğan are too much alike as political men: prideful narcissists who elevate personal loyalty over law, “fact” fabricators who often speak before they think, and whose exotic minds do not think well much of the time anyway. Donald Trump is, or was, well aware of their similarities; remember that he was once full of praise for President Erdoğan as a “strong leader,” similar in his mind to men such as Putin, Órban, Dutarte, and, of course, himself. But while the public nature of the recent spat, and the personalities therefore thrust into the limelight, explain much of the tone to the distemper, make no mistake: Serious differences of perception and interest are at the bottom of this, some of them ephemeral and temporary, perhaps, but others structural and unlikely to change quickly. This is not an evanescent mutual tantrum that will fade away like morning dew. It is all quite complicated, with many kinds of moving parts all swirled around together—American citizens and former Turkish nationals employed at U.S. Embassy-Ankara under arrest; fighter aircraft construction and delivery suspended; economic weaknesses, pressures, and fears of failed bank contagion into parts of Europe; disagreement flowing from the civil war in Syria, not to exclude perspectives on the Russian role there and beyond; and more. All true: But most of the analysis of the current situation has failed to plumb, let alone understand, the deeper ramifications of a more or less permanent break between the United States and Turkey that may be in the offing. These concern European security and weapons-of-mass-destruction proliferation. It this latter matter, which casts a tenebrous shadow over the Arab world, that constitutes the main focus of this discussion. Many American experts on Turkey and the U.S.-Turkish relationship have come to the conclusion this time around that there is very little, if anything, left to lose in terms of American equities in Turkey. Erdoğan has gone off the deep end, they aver, and he’s not coming back. They therefore favor robust ripostes to what they consider to be Turkish misbehavior, and some have even praised the Trump Administration above its predecessors for getting this right at last. Indeed, one commentator, head of the most prestigious foreign policy association in the United States, recently suggested threatening to remove U.S. nuclear weapons from Turkey as a way to incentivize the Turkish government to be more reasonable. This marks a change. Until the recent worsening of relations between the United States and Turkey, most serious observers argued for strategic patience as the touchstone of U.S. policy. Erdoğan would not be there forever, and while Turkey would not return to the kind of secular republic it was before the AK Party era, its other political parties are more moderate and more oriented toward Europe, opening the possibility of a still decent functioning relationship in the future. And while the glue of common interests from the Cold War no longer applies in full, experts have tended to agree that Turkey remains an important partner in a critical position. Hence, no one with any sense of strategy or responsibility in government would have proposed undoing the extended deterrence arrangements that bind Turkey to NATO and the United States. Unfortunately, most country and regional experts do not think in strategic military terms, and most people who do think in strategic military terms either cannot or do not think like country or regional experts. So there is a disconnection here, which, again, explains why most of the recent acerbic American commentary on U.S.-Turkish troubles never even mentions nuclear weapons or their larger ramifications for European security. I sympathize with the experts’ frustration, but it is a mistake to conclude that there is nothing left to lose; and I shutter particularly at the implications of threatening to remove U.S. nuclear weapons in Turkey at a time like this. Those weapons still bind Turkey to both NATO and United States in a major strategic relationship, if clingingly at this point on account of the bad political blood flowing all about. This kind of relationship is traditionally called extended deterrence, which means that the United States pledges to protect ultimate Turkish security interests with its own weapons—in this case based on Turkish soil—so that Turkey need not deploy such weapons of its own. Aside from being considered necessary to protect NATO and other allies during the Cold War, the U.S. provision of extended deterrence has been, since the early years of the nuclear age, a key element in its grand strategy, which has included the imperative to suppress security competitions in key regions of the world. The reasons for wanting to suppress such regional security competitions have been several. First, competitions between and among allies—Turkey and Greece, for example, over Cyprus—were thought to provide opportunities for adversaries to divide alliances and complicate alliance management. Second, competitions could breed local arms races, and thus invite ambient insecurity and raise the costs of any crises gotten out of hand. Third, some arms races could lead to weapons-of-mass-destruction proliferation, threatening the global security commons in general and generating a more dangerous world overall for the United States, as webmaster of the system, to manage. From the U.S. point of view, minimizing the number and size of wars and minimizing WMD proliferation constituted an act of doing good and doing well simultaneously: It was valuable for most others even as it was also valuable for the United States at the pinnacle of the postwar pecking order. The Cold War is over, but the imperative to limit WMD proliferation remains—and so back to the Turkish situation we must go. 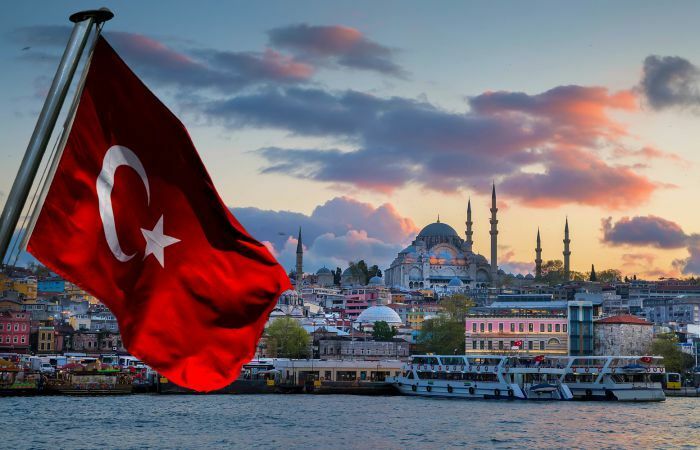 Consider that Turkey sits in a regional environment in which states armed with nuclear weapons, or prospectively armed with nuclear weapons, are abundant. If a statesman or military planner sits in a swivel chair in Ankara and rotates 360° around, he can barely catch his breath between identifying actors capable of targeting Turkey with nuclear weapons: Russia, Pakistan, India, Israel, France, the United Kingdom, the United States both from its homeland and from other points in Europe, and of course prospectively Iran. Now, the logic of the security dilemma is such that in the absence of the credible U.S. provision of extended deterrence, Turkey would feel pressure to develop its own nuclear weapons. That it has not exerted itself in that direction, despite its formidable engineering and scientific capacities, illustrates the stability of Turkish trust in U.S. protection—until recently—and the ability of both sides to bracket the core security relationship away from various disagreements. As with other nuclear-armed states, should Turkey go its own way it would do so with no active intention of actually using such weapons, but rather as a kind of insurance policy against diplomatic extortion at the hands of other nuclear-armed powers. But of course if Turkey, no longer tethered to U.S. security protection in one way or another, developed nuclear weapons for such a purpose, other regional states would probably feel obliged to develop or otherwise acquire their own weapons, if they could, as an insurance policy against nuclear extortion by Turkey. They have already practiced that way of thinking in reaction to the possibility of an Iranian nuclear breakout, of course. Indeed, that kind of hedging behavior is exactly what analysts have discussed for many years now as the so-called N+ danger inherent in the development of Iranian nuclear weapons. It is not just the danger posed by Iranian nuclear weapons, bad enough as that would be, but the mousetrap effect of proliferation that would likely drive other states to want such an insurance policy: Saudi Arabia, the UAE, Egypt, Algeria, and so on. Now, some observers have argued that nuclear weapons are really not very important after all. If the United States and the Soviet Union, as well as China, France, and the United Kingdom, survived the Cold War without any nuclear use, it must be because deterrence is easy and hence stable, since all rational people know that the weapons are unusable save for the since-become-impossible exception of a state holding a monopoly over them. One well-known scholar, Kenneth Waltz, argued persistently that the more nuclear the weapons the better—because they would sober everyone up and lead to more stability and fewer wars. Happily, those with actual government responsibility did not agree. It is unspeakably lazy thinking to glibly superimpose the U.S.-Soviet Cold War deterrence experience onto places like the Middle East. It is, after all, one thing to maintain stable deterrence when there are only two, or a small number of, nuclear powers, and quite another to maintain stable deterrence when the number of nuclear actors gets larger and becomes somewhat open-ended as more states lean that way. Under such conditions it becomes much more difficult to calculate what a sufficient deterrent is, and so efforts to make sure of having “enough” can touch off a multilateral arms competition in which sufficiency becomes a ever-moving target, almost impossible to hit. At the same time it becomes much more difficult to imagine crisis stability if one or more states resort to launch-on-warning deployment postures, which are more likely when young arsenals are small and unprotectable against preemptive attack. Other important potential differences between U.S.-Soviet Cold War deterrence and potential multiparty deterrence in the Middle East exist, too. Let us note just three. First, U.S. and Soviet arsenals displayed clear lines of civil-military authority in highly institutionalized state systems, but many Middle Eastern countries lack both such clear lines of authority and highly institutionalized arrangements, being instead looser and more personalized by nature. Second, it was taken for granted that both U.S. and Soviet leaderships cared about the safety of their populations, a necessary assumption for effective deterrence. But in some heterogeneous and authoritarian Middle Eastern countries this premise may not so surely apply—think both Iraq and Syria under minoritarian (and coincidentally Ba’athi) leadership, both of which committed mass murder against its own citizens. And third, U.S.-Soviet deterrence operations became inextricably bound up in the minds of observers with intercontinental ballistic missile delivery systems. The result is that some people today think that if missiles can be limited in one way or another, then the dangers of nuclear weapons, even if they come to exist, would be much mitigated. This this is delusional because it is technologically obtuse. You need intercontinental ballistic missile if you’re trying to shoot a warhead across an ocean. But if your enemy target is not across an ocean, but, as in the Middle East, quite nearby, airplanes are immensely less expensive and more reliable as delivery systems. If that happens, the Turkish government could probably develop deliverable nuclear warheads at least on its side of the ocean within two to three years. If the Iranian government had thought for its own good reasons to avoid overt testing and breakout postures once the nuclear deal expires by calendar or “is expired” by volition, a Turkish bomb would make that posture far more difficult to justify. One could therefore imagine a situation of twinned or near-simultaneous breakouts of Turkish and Iranian nuclear weapons even a mere three, four, or five years from now. The shock to the region would be profound, and possibly very dangerous. It almost goes without saying that these larger strategic implications of the current U.S.-Turkish disagreement bear significantly on the security of U.S. allies, friends, and associates in the Arab world. First of all, any significant weakening of the structure of the U.S. alliance system diminishes the reputation and effective power of the U.S. government, and hence its ability to protect its friends and associates even outside the core of that alliance system. The United States does not have explicit defense treaty obligations, as ratified by the U.S. Senate according to the U.S. Constitution, with any Arab state on a par with its obligations within NATO, ANZUS, and its bilateral obligations to Japan and South Korea in Asia. 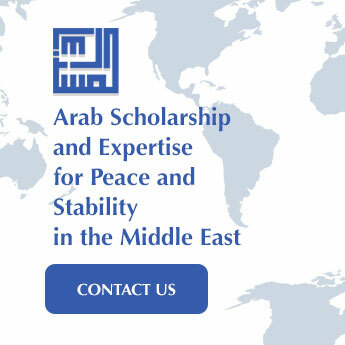 Nevertheless, its longstanding ties to Jordan and Saudi Arabia, its special arrangements with Egypt since 1973, its more recent ties with Bahrain, the United Arab Emirates, Kuwait, Oman, and Qatar, and its looser but still friendly arrangements with Morocco and Tunisia, are all affected by both America’s reputation as a reliable and sympathetic partner and its willingness to affirm consistently its interests in those relationships. In a sense, America’s associated Arab governments (whatever one thinks of them) have been indirect but still real beneficiaries of a strong NATO, not much less so than European “neutral” countries such as Sweden, Finland, and Austria, or of Israel for that matter. This is why the fact that some Arab leaders rejoiced at the coming of the Trump Administration now looks so maladroit. They rejoiced because the new President clearly took a far less benign view of the potential for a major amelioration of U.S. relations with Iran. Some of these leaders had previously urged the Obama Administration to “cut off the head of the snake,” not to cozy up in bed with the snake, so to them, Trump seemed a huge improvement. This, however, was a narrow and shortsighted judgment. It has since become clear that the Trump Administration is busy with an historically unprecedented act of great power self-abnegation. The President does not believe in any but zero-sum relationships. He thinks of inherited alliance ties on an entirely transactional basis, and the thinking—such as it is—proceeds almost exclusively in the literal “coin” of trade dollar numbers. Trump is not just a protectionist in trade; his is a mercantilist in terms of overall statecraft—an approach that had heretofore been obsolete for nearly two centuries, and for good reason. Trump’s reticence to think of the United Stated as a provider of global common security goods has expressed itself in his manifest desire to have nothing to do with Syria; his instinct to leave, and let the Russians have their way with it, has been restrained only by dint of great and subtle effort by key advisers. This instinct shows even more clearly in the President’s dour attitude toward the Article V pledge that is the very foundation of NATO, and toward the European Union which, however troubled at present, has been a major postwar project of every U.S. administration—again, for good reason. In short, this Administration’s admittedly tougher attitude toward Iran does not presume any willingness to take significant risks on behalf of Arab associates who may find themselves in some sort of trouble. In this context, Turkey has been and remains special as a link between NATO-Europe and the Near East. During the Cold War the U.S. government explicitly guaranteed Turkey’s borders with the Soviet Union and Bulgaria, as a Warsaw Pact Soviet ally. It managed Turkey’s border with Greece as an intra-NATO affair, again in the interest of suppressing regional security competitions among allies. Successive U.S. administrations did not formally guarantee Turkey’s borders with Iran, Iraq, and Syria. Informally, however, those countries aligned with the Soviet Union and possessing a Soviet-supplied order of battle (Iraq and Syria) were considered threats and were addressed accordingly. For example, the Soviet government used its position in Syria, largely via Syria’s Kurdish community, to build up and support the PKK inside Turkey. Arguably, that was a factor in stimulating a 1980 Turkish military coup—a development that clearly concerned the U.S. government and complicated the bilateral relationship. So Turkey had a dual status as a U.S. ally—formal with respect to its NATO-facing flanks, informal but still real with respect to its Near Eastern flanks. Of course, things have changed: There is no more Soviet Union and Iraq is no longer a Russian client; but Russia’s role in Syria, with Iran and for a time ISIS playing roles in the context of the revenant Kurdish question, is if anything more important to Turkey than ever. The Russian position in Syria gives it considerable leverage over Turkey, so much so that in the current declined state of U.S.-Turkish relations, the U.S. government is at a loss to offset it at reasonable cost or risk. The United States and Turkey have had, at best, sometimes overlapping and sometimes incongruent interests in all of these shifting sands of events, which in the absence of a dominant Soviet threat has vastly complicated the bilateral relationship. Suffice it to say that if Turkey were indeed to fall away from its core strategic relationship with the United States it would have different effects on the strategic environment in Europe and in the Near East. For one thing, as to the Near East, one needs to think of the U.S. military and intelligence footprint in the region as an integrated whole: Assets at Incirlik cover the Gulf as well as the Levant, just as al-Odeid in Qatar, as a command-and-control facility for air power, covers Afghanistan as well as the Gulf. The same can be said, more or perhaps less, about the basing of the Fifth Fleet in Bahrain and the concentration of U.S. intelligence assets in Jordan: These assets radiate generally, their reputational clout transcending the specific countries in which they are located. When it comes to the Near East, the end of the U.S.-Turkish strategic relationship would basically come down to this: Instead of Turkey being part of a coherent, stabilizing, and protective U.S.-led power in the region, it would play a more independent and divisive role. One case in point is already manifest: When the Saudi/UAE-Qatari spat broke out in June of this past year, the Turkish leadership sent troops to Qatar as a symbol of its support; and just recently, in the face of punitive U.S. tariffs slapped on Turkey, Qatar pledged $15 billion in investment to ease the impact. Were the U.S.-Turkish strategic partnership to fully end, the political and geostrategic landscape of the Levant and the Gulf would be transformed on account of a truly independent, unfettered Turkish policy—in ways we can study, but cannot possibly know for sure. Some of the scenarios one can imagine are fairly stunning. For example, there was an extended time, before the United States even existed, when Turks and Persians tried to kill one another in large numbers. The Ottoman-Safavid wars raged for much of the 16th century, their enmity reshaping the sectarian bounds within dar-al-Islam. But as much tragedy as those wars caused back then, it pales in comparison to the destruction that an Iranian-Turkish nuclear war would cause in the 21st century for all the peoples of the region. Of course there is nothing inevitable about Turkish-Iranian enmity in the years ahead; but given the sectarian, cultural, and strategic cleavages between the two, only a fool would rule it out completely. It therefore behooves everyone, each according to their own capacities, to do everything possible to prevent the development of additional independent nuclear weapons capabilities in or near the Middle East. For the moment, everything possible certainly includes not threatening to remove U.S. nuclear weapons from Turkey, let alone actually doing it, for that would be the single most powerful motivating force behind a Turkish decision to build its own nuclear weapons arsenal. For details see Garfinkle, “Turkish Disconnections,” The American Interest Online, August 22, 2018. A current lesser-included case of the same problem, although not among formal U.S. treaty allies, is the current Saudi-Qatari rift—of which more below. American policymakers don’t like it when allies and associates try to harm one another. Technically, China and North Korea may both be capable of targeting Turkey, but it is hard to imagine them doing so when so many other target destinations are higher priorities for them. The NATO treaty has no provisions for expelling a member, but Turkey could withdraw from it. Likewise, while a sober U.S. policy would not remove its nuclear weapons from Turkish soil, the Turkish government could and might expel the United States from Incirlik Air Base, its 60-70 nuclear weapons with it.